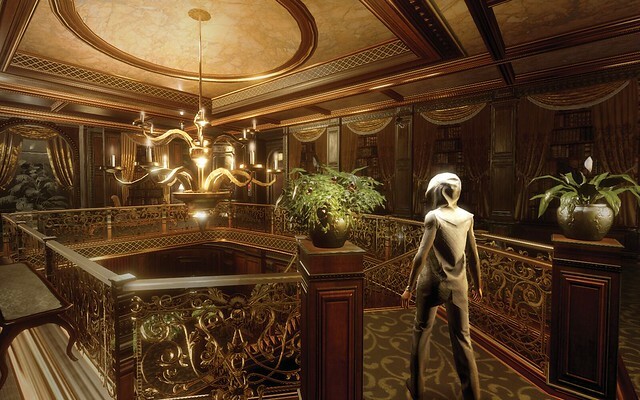 Republique began as an iOS adventure game in 2012. It was cleverly built with a smartphone in mind as characters often interact with the small touch-screen device. And that move deepens the immersion between players and game. But despite its mobile bent, the game has managed to draw an audience on PC and Mac. Now Republique is coming to the PlayStation 4 in 2016 courtesy of GungHo Online Entertainment. With the move to console, the team has introduced a new control scheme that gives the title a more visceral feel. Players take on the role a mysterious hacker and Hope, a charge at the facility called the Metamorphsis. The heroine ends up in trouble after gaining access to certain literature that was contraband. She’s on her way to being punished when the player in the role of the hacker frees her. In the tidbit of the first episode I played, Hope had to sneak around while the hacker helps her out. There’s a sense of teamwork as players switch views among security cameras to get better angles of the action and controls Hope as she sneaks across the level. There are minor puzzle elements involved as players hack the environment to unlock doors and manipulate objects for the heroine. Aside from the new control scheme, the PlayStation 4 version will also get a graphical upgrade as the team transitions Republique from Unity 4 to Unity 5. The visuals will be on par as that of high-end PC with dynamic lighting, reflections and physically based shading. Over the course of the game, Hope can buy upgrades using points she earns from discovering extras such as newspaper articles or pick pocketing games from guards. (Players will notice that the discs are actually popular PlayStation titles.) Unlockable upgrades include the ability to see through walls or note the path of enemy patrols. It’s an incentive for players to explore a world that’s one of the more intriguing ones in the indie scene. The PlayStation 4 version of the game will be released when the fifth and final episode launches. The game is expected to cost $24.99.